Available for charters in Marina del Rey & Long Beach by repositioning the yacht. Its less expensive to select the harbor where the boat is located. Moving yachts to other harbors adds an expense for fuel and crew. Cash bar with bartender is available by default. No BYOB is allowed on the vessel. 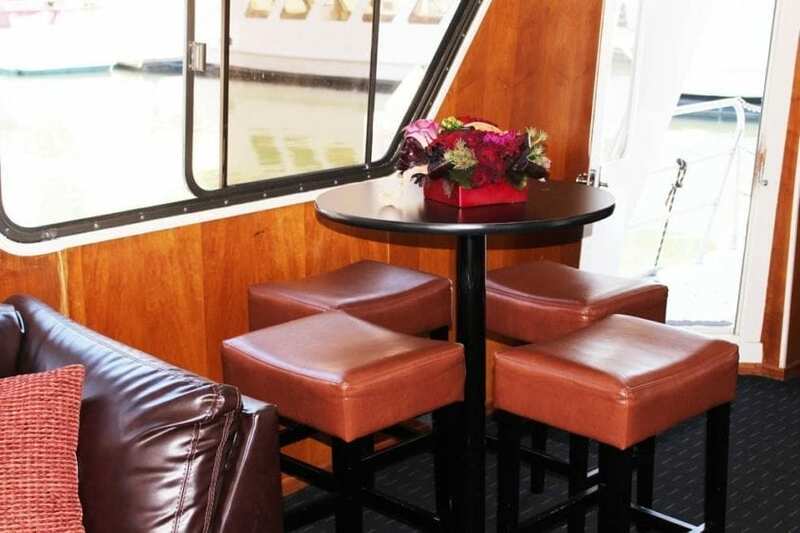 You may bring your own food, self cater at the vessel’s home harbor, or order from one of our private chefs. Includes 60” LG Monitor, 7′ Chrome Stand, 2 UHF-Wireless Handeld Mic System, 1 UHF Wireless Lavalier System, Sound Craft Mixer, 2 QSC K8 Speaker w/Stand, Sand Bags, Laptop, Logitech Wireless Presenter, and two technicians. 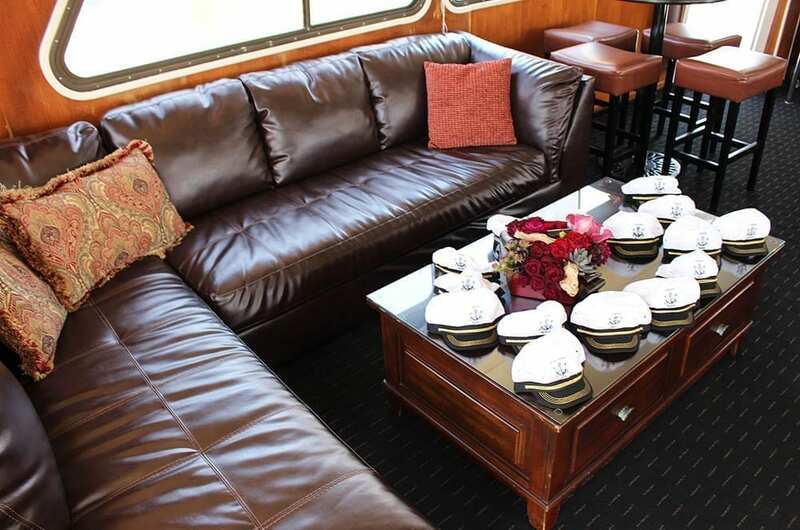 Newport Beach yacht charters on our 40-68 passenger party yacht is perfect for corporate events, birthdays, Catalina Cruises and private yacht charter in Los Angeles, California. She also departs from, Malibu, Long Beach, California, and more. She is a luxurious yacht available for charter and newly designed as well. 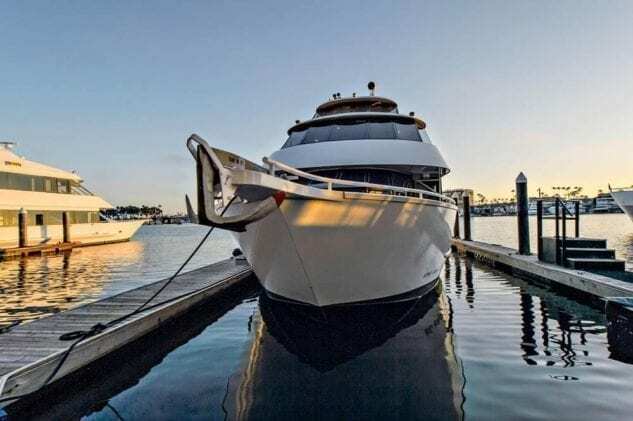 Her classic design is complemented by the modernistic twist and luxurious featuring licensed to carry up to 68 of your beautiful guests for Harbor cruises and 42 for ocean trips. 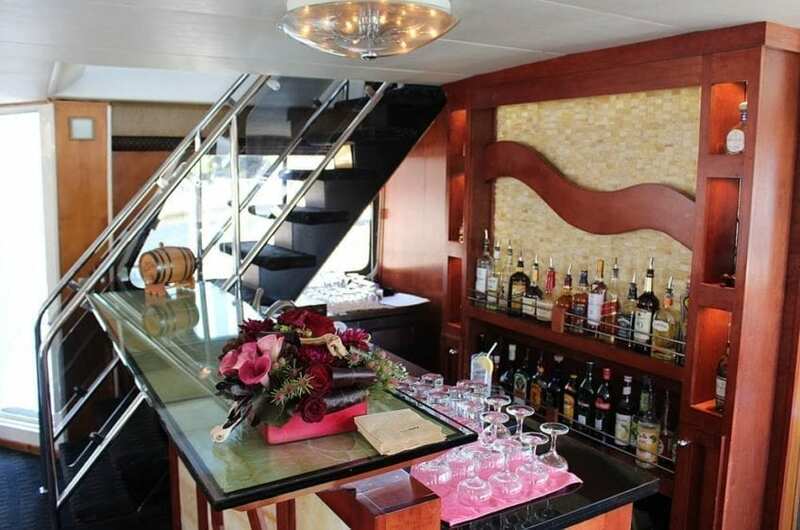 This sweetheart features a main salon, covered pilothouse, sky lounge on upper deck, large bow for sunbathing delight, 3 staterooms, 5 bathrooms, a dining area, stocked bar, kitchen, surround system, and so much more! Overnight accommodations are available! This classic yacht is perfect for a harbor or coastal cruise. You may bring your own food, hire one of our chefs, or bring your own licensed caterer! Unfortunately no outside alcohol is allowed on board the yacht. Newport Beach yacht charter rental available for a dinner cruises, harbor cruises, and boat rentals to Catalina Island, Malibu, and more. This amazing 85 foot luxury yacht is flawless in design and splendor. Enjoy the water on this lovely lady along the coast of Newport Beach. Travel up the coast with our Private Chef Catering or cruise the harbor of Newport Beach. Another thing you could do is take a minute to review Luxury Liners’ itineraries and destinations. 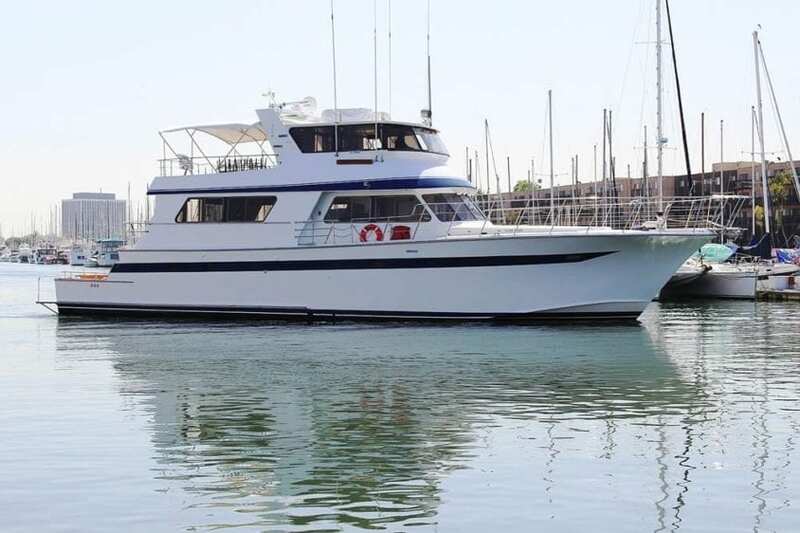 This beauty is available for a yacht charter in Newport Beach, California. This beautiful yacht is perfect for a harbor or coastal cruise. 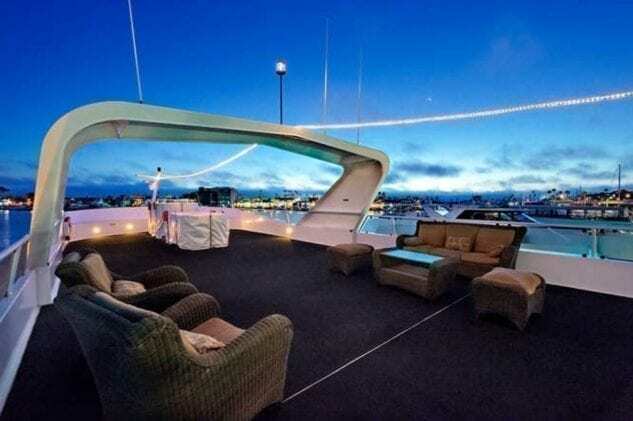 Enjoy the water on this luxury yacht within the harbor of Newport Beach. 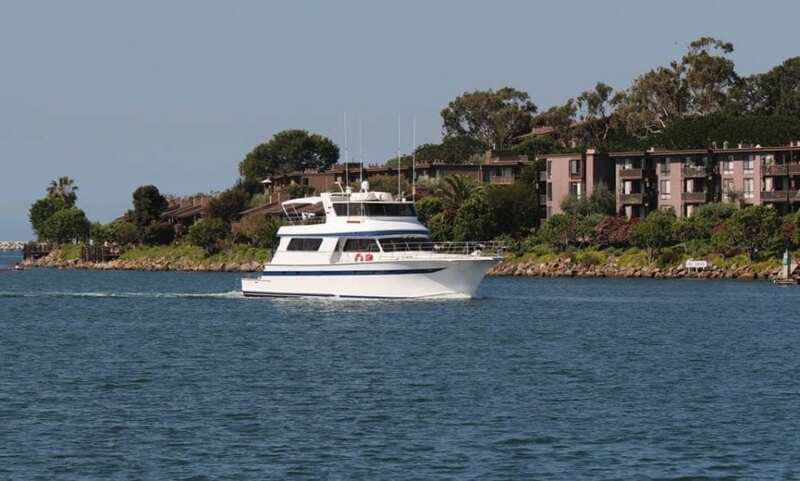 Due to the great weather all year round, Newport Beach is a great place to rent a yacht. First of all, yachting in Newport Beach is a top thing to do anywhere and especially here. Because nothing beats a yacht charter in Newport Beach. The unique climate allows for a year around boating season. 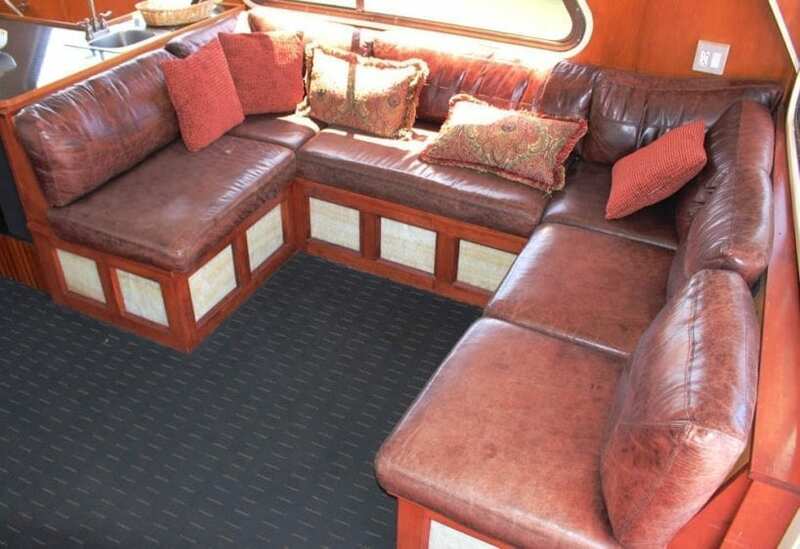 It’s what makes Newport Beach luxury charters so enjoyable. Enjoy the crystal clear tropical ocean. The beautiful harbor and marina, beaches, bay, and lagoons. 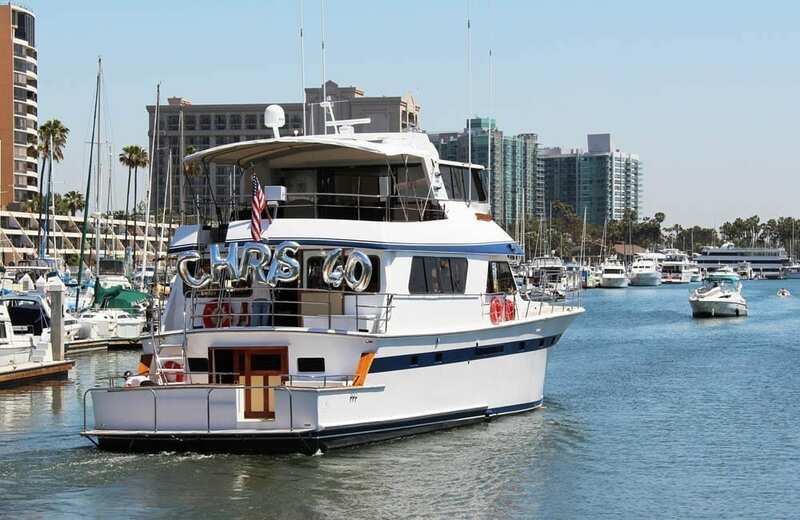 She probably offers on of the most stunning skylines which are awesome for even a short Newport Beach luxury charters. Furthermore, let Luxury Liners provide your captained Newport Beach yacht charter so you may experience your own private yacht charter in style while visiting Newport Beach. 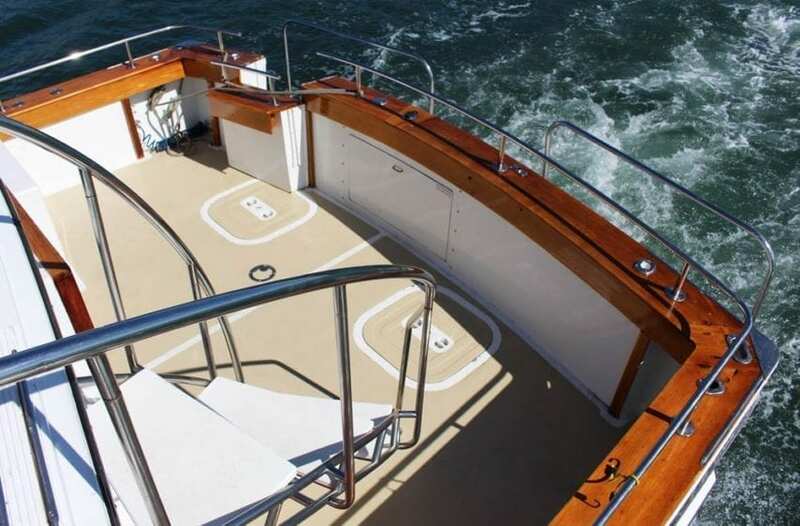 To charter a yacht in Newport or for a luxury yacht simply choose among our collection of Newport yacht charter. Luxury Liners works hard to find you the best of the best, highest quality yacht rentals in the Newport area at the best prices. Plan your getaway with one of our yacht charter itineraries or just board a water front sports bar to chill out. 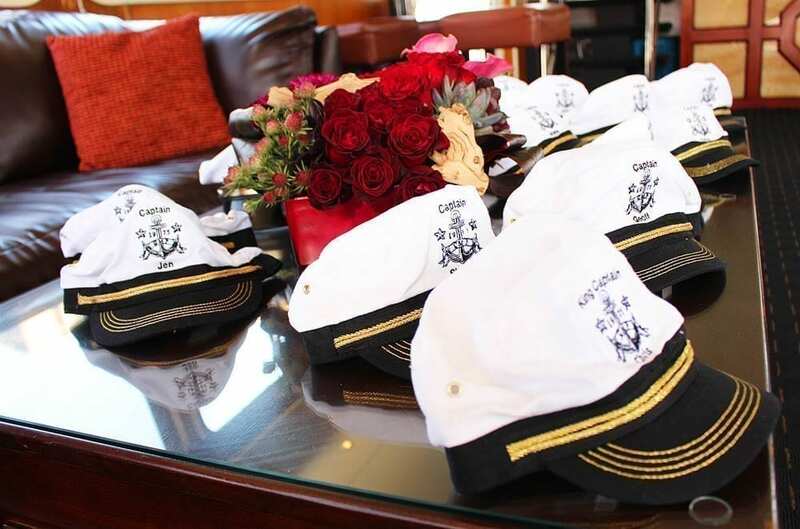 Furthermore, let Luxury Liners find your captained Newport Beach yacht charter so you may experience your own private charter yacht cruise in Newport Beach. Take in the sites of Newport Beach to experience the west coast in style. 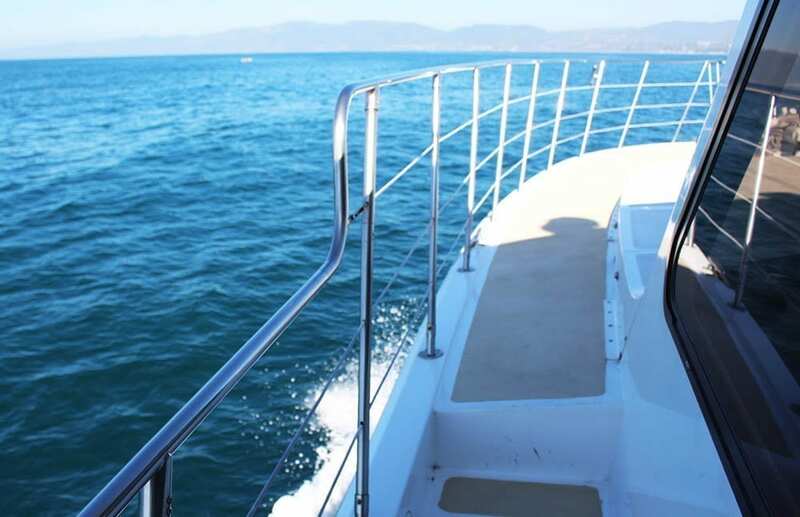 In conclusion, for a yacht charter Newport Beach style, we have the yacht rentals for you.